Front right room (perhaps an original parlor). 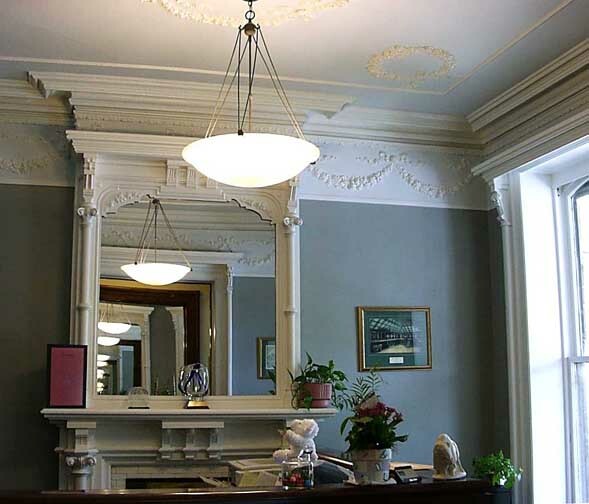 Note plaster wreaths on ceiling and plaster swags on wall frieze. Fireplace is identical to the one in the room across the hall.